Now that Thanksgiving is over, I think that I should be most thankful for the opportunity I had to compete at the highest level this past weekend in Philadelphia for the National Chess Congress. For the second time of my career, I decided to compete in the Premier section of a Continental Chess event and going in, everything seemed to be moving in the right direction. I had been winning my weekly games against expert level competition with relative ease, and even my G/15 play seemed to be improving. Not to mention, I had just broken 2600 on chess.com’s tactics trainer. Everything was on the up and up. After waking up at 5 am, I found my way to the Pittsburgh Amtrak to go to the National Chess Congress. Little did I know that I would be in transit for 13 hours. Perhaps the first sign that things would be difficult this was when my train took an extra four hours to get from Pittsburgh to Philadelphia, followed by the hotel’s fire alarm going off the morning of the first round. That being said, I was still feeling confident going into my first game against fellow Virginian Andy Samuelson, a player rated over 2300, and coincidentally my chess coach’s former college roommate. While my opening play up to this point had been dubious up to this point, I still had managed a respectable position, down an exchange but with a central passed pawn for compensation. 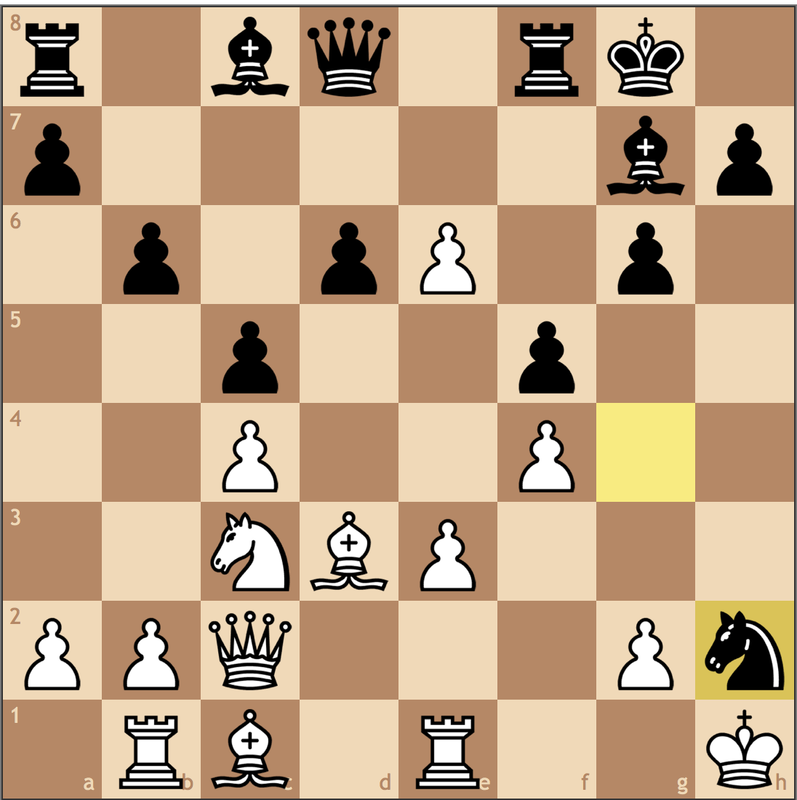 Here I played 24… Qg7? losing my advantage as White got in 25. Qe3 blocking my advantage and making it difficult for me to reach a favorable endgame. My pawns on e6 and d6 are more of a liability than a threat and are ultimately why I wound up losing the game. 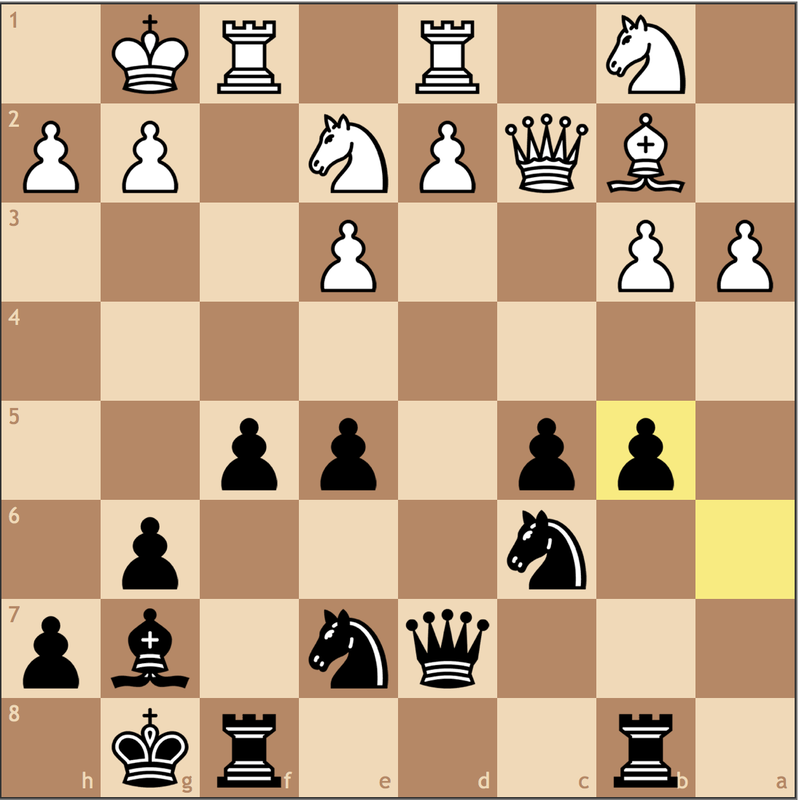 But this tournament could have been very different if I had calculated the risky 24… Qxf4! I overlooked this move because I thought White could quickly find counterplay with 25. Rf1 Qxg4 26. Qf6, but missed that 26… Nd7! holds everything together and preserves Black’s advantage. Though capturing on f4 is risky because the f-file is open long term, I now have two pawns and a piece to justify the rook, and it is my rook that comes to f8 after White retreat the bishop. This isn’t winning yet but definitely would have been a great first step towards getting a point in my column. That being said, the moral of this game is don’t be afraid to take chances! In chess there is risk, but there is also pure calculation which will always trump positional judgement if accurate. Here I trusted my opponent’s analysis too much and played passively to get on the wrong side of the match. Even with a loss, there was really no need to panic – I still had five more games. While round 2 was likely the most “boring” match for me, my opponent showed a glimpse of brilliance which I thought was important to share. Out of my theory, I spent over 15 minutes to come up with the move 14. Ba1?! which doesn’t really offer me any improvements. 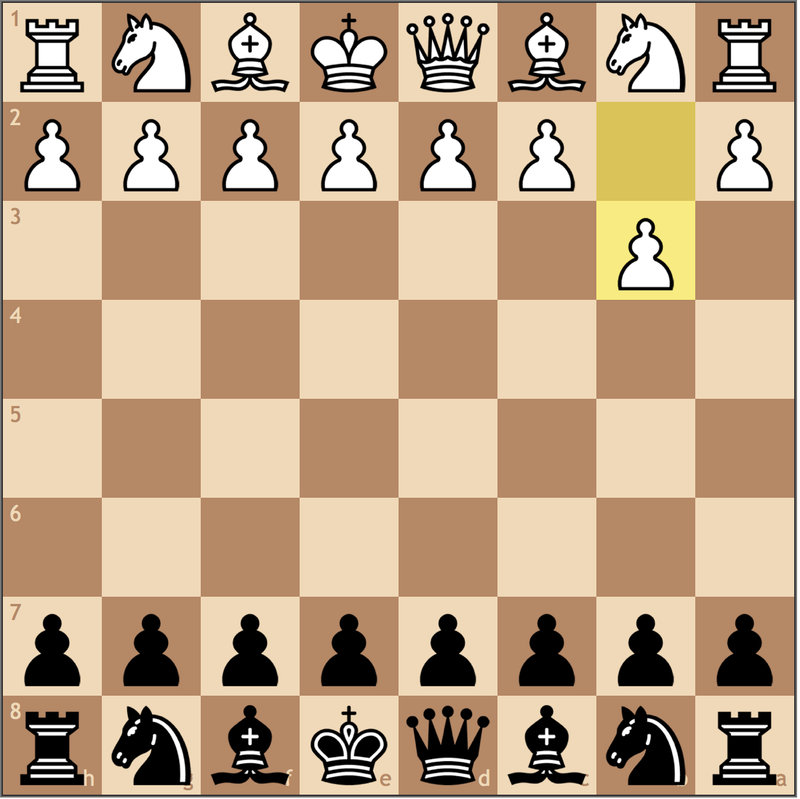 I wanted to make a non-committal move here, and I thought the perhaps this would be helpful as the b2-square opens up for my queen, and should the b-file ever open, I can just play Rc1 -b1. While this move was a good move in an earlier article, the key distinction is that in this game, the b-file isn’t open, so it doesn’t make sense to set my pieces this way. Furthermore, my opponent has the move …d5-d4 at any point, blocking my bishop and effectively trapping it. 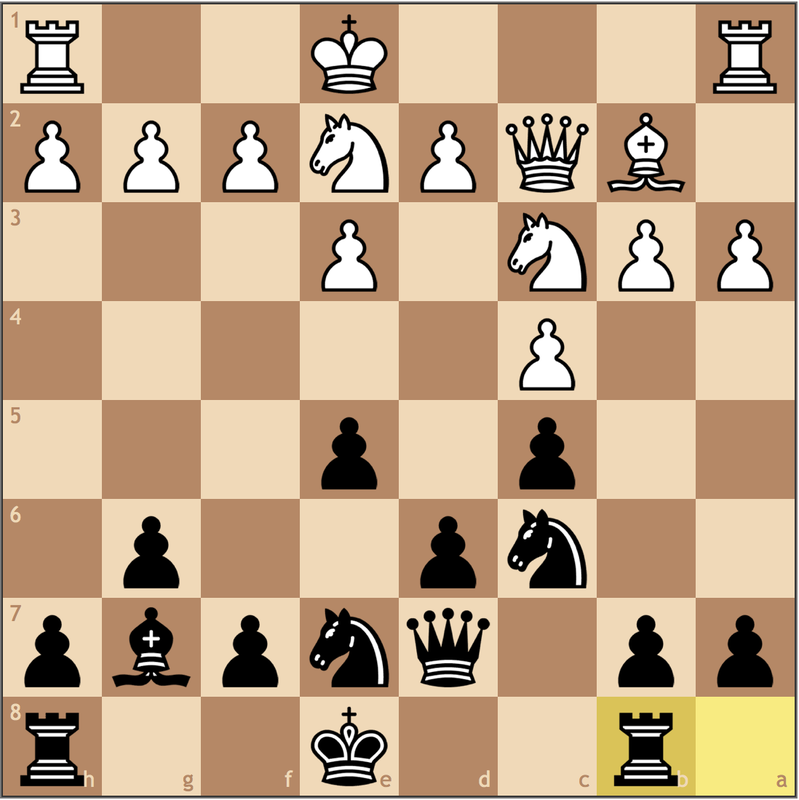 My opponent could have played this move, but he made a far more prudent move, 14…h6!. I give this move an exclamation because of the psychological effect it has behind it. Since I made a move after 15 minutes of thinking, my opponent made this move in 2-3 minutes to force me to come up with a new plan. He likely knew I was expecting …d5-d4, but with this move, forces me to come up with a new, non-reactive move. In retrospect, I should’ve traded on d5 and then played the position like a hedgehog with relative balance. Even though I got in a worse position, I held my ground and managed a draw. This is probably the match that I “let” go, but it’s still one of the best games I played the whole weekend. The Larsen’s! When I was about 1400, I was terrified of this opening, but in retrospect, it’s not that bad! With this move, White throws theory out of the window and plays chess from move 1. When I saw this move, I got really excited – let’s see how it goes! My central conquest is complete! 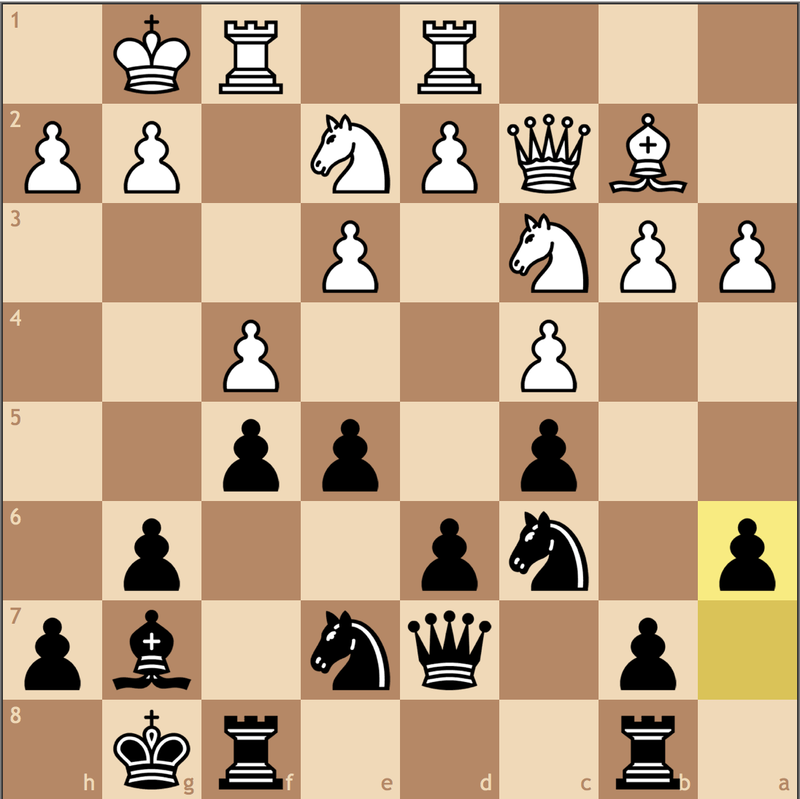 White’s b2 bishop is blocked in, and at the right moment, I want to fianchetto on g7 and perhaps contest the diagonal. 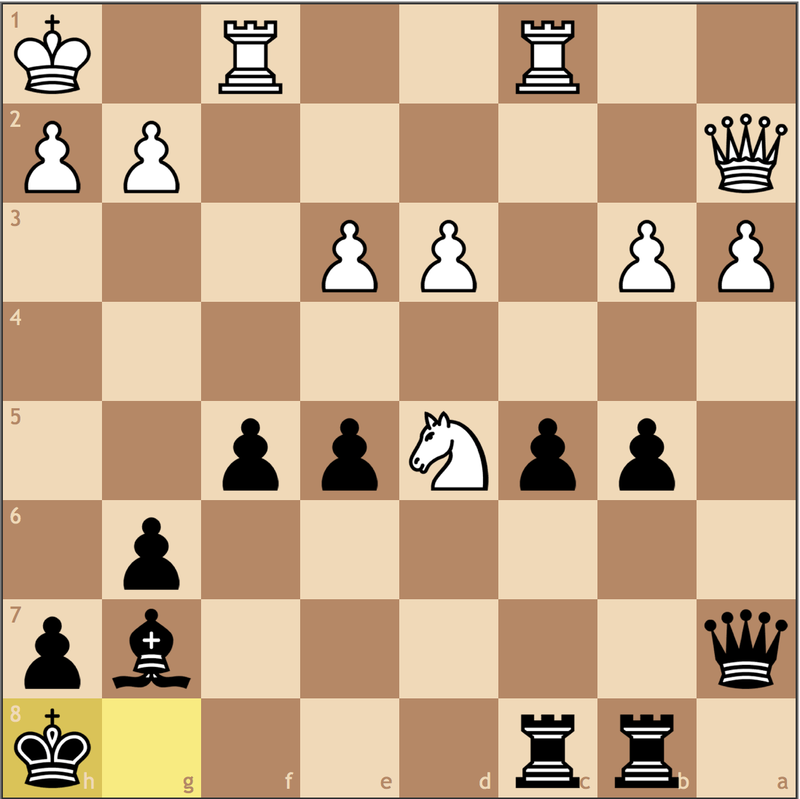 Furthermore, this move stops f2-f4 which transposes to the Bird’s, a natural position for White out of the Larsen’s. A novelty in my book, but definitely one I respect. White’s objective is to trade off my light squared bishop (my better bishop) and continue playing positionally. I think my opponent may have been inspired by the Rossolimo or Grand Prix of the Sicilian, where if I play …Nd7, I block in my own development, and …Nc6 could give me doubled pawns. What did White get for the bishop trade? Well, other than leaving me my worse bishop, he can fight for the weakened d5 square. 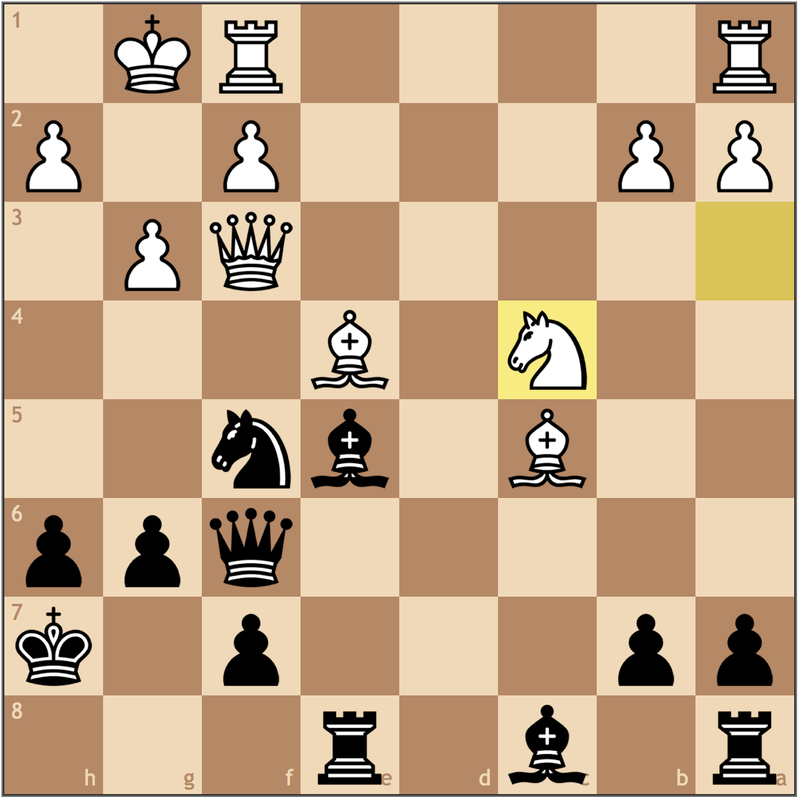 This move stops …Nc6-b4, but I think this is a bit much. White can always slow play with d2-d3 if need be. With this move, White gives me the time I need to fianchetto. My opponent has done a respectable job developing thus far, but I’ve also achieved some objectives as well. 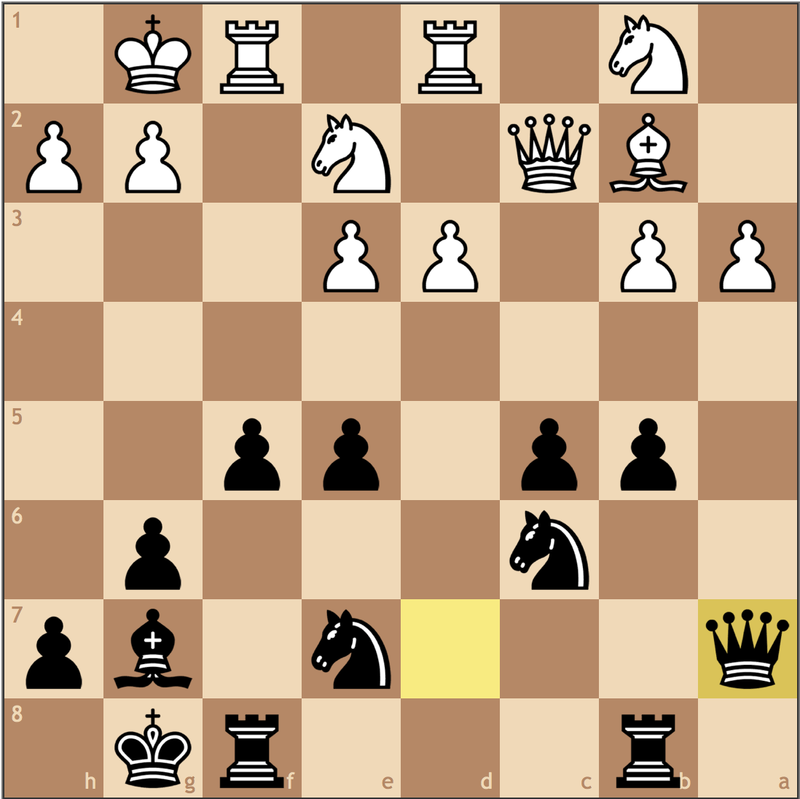 With this move I threaten …b7-b5, and should White try a3-a4, the b4 becomes a great outpost for my knight. Furthermore, I’m going to castle and play …f7-f5 with the hopes of punishing White for not being assertive. It’s important to not get too excited here and blunder with 13…e4? 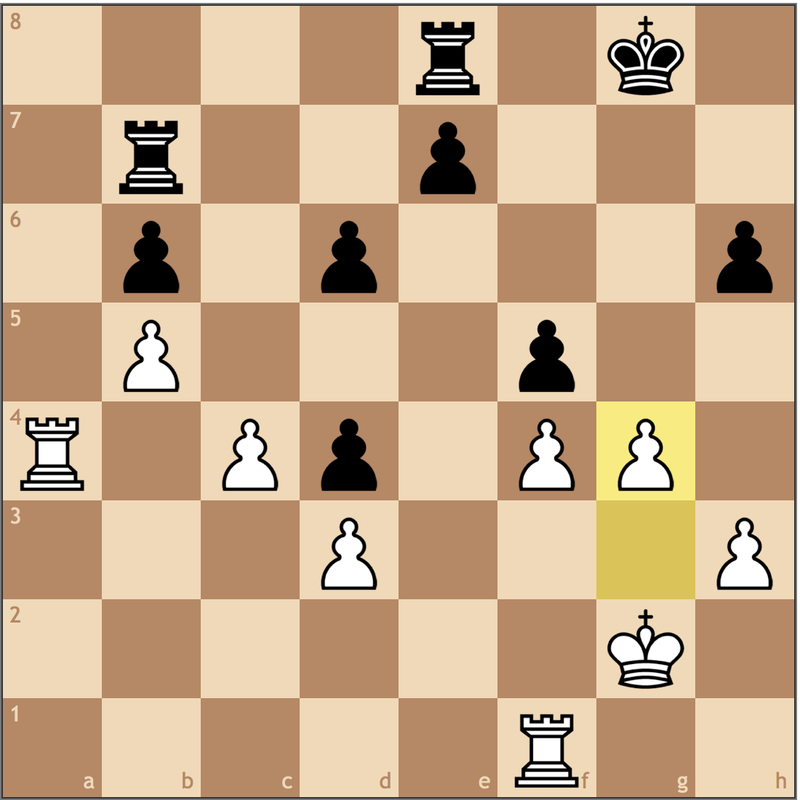 allowing White the trump 14. d3, opening the d-file on my backwards pawn. If you play to constantly release tensions in such positions, you will constantly be worse in them too. 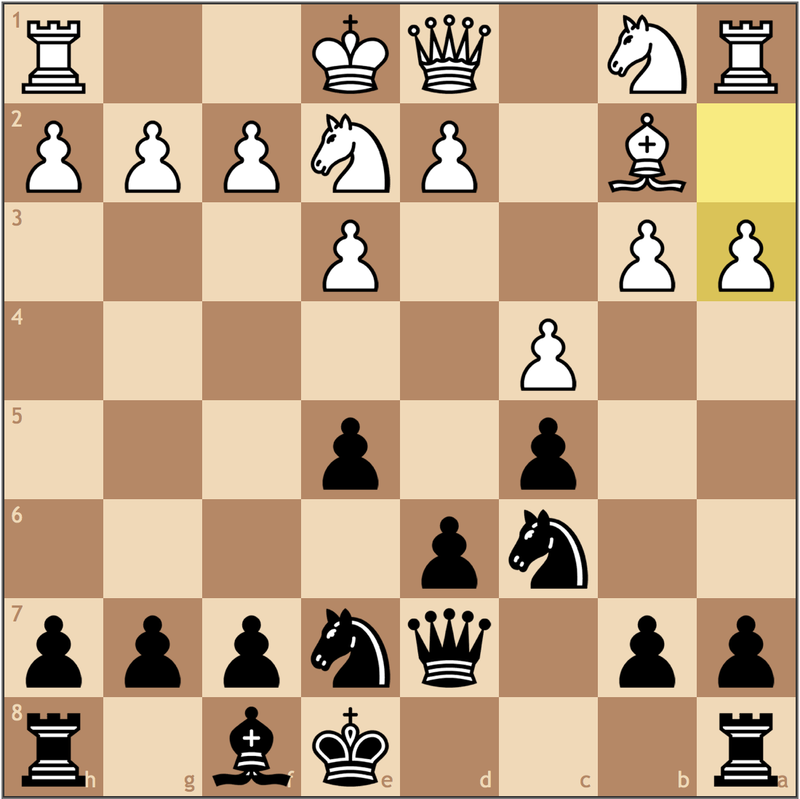 Here my move 13… a6 sticks to my plan and puts the ball in White’s court. My opponent errs here with this move, trying to prepare d2-d4. The problem with this plan is that when my opponent plays d4, I will take with the c-pawn and push e5-e4 creating a protected passed pawn and a long-term advantage. In my eyes, this is just a poor move. Is the c5 pawn hanging? Of course it is! But not without consequence. 17. Qxc5? will be met by 17… Rfc8! and White begins to wonder where the Queen will go once the c6 knight jumps. If White tries to play 17. Rc1 Rfc8 again still holds the position. 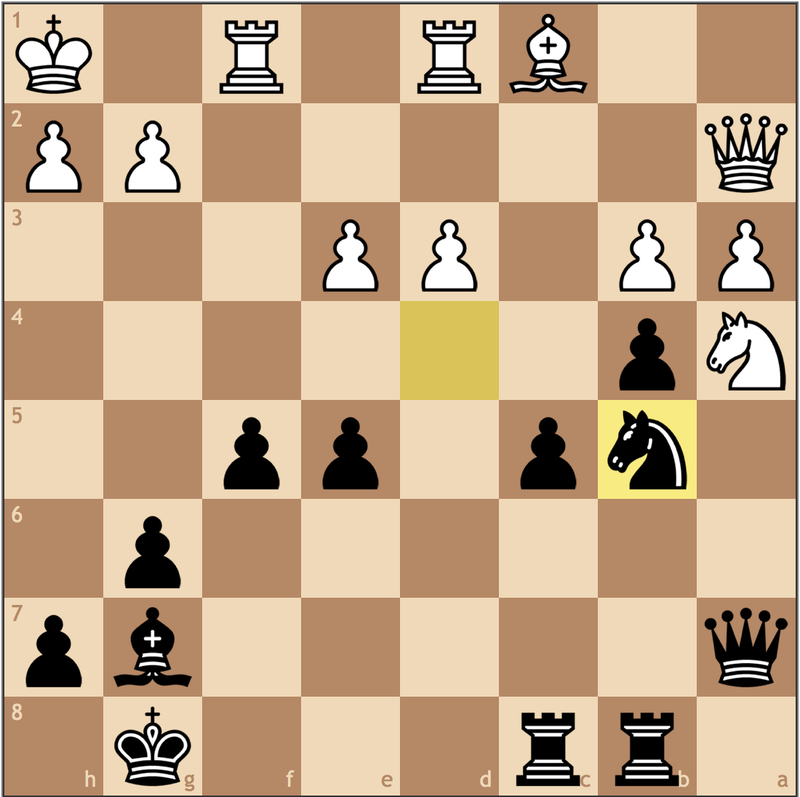 I think my opponent missed this before taking on e5 because now White just stands worse. 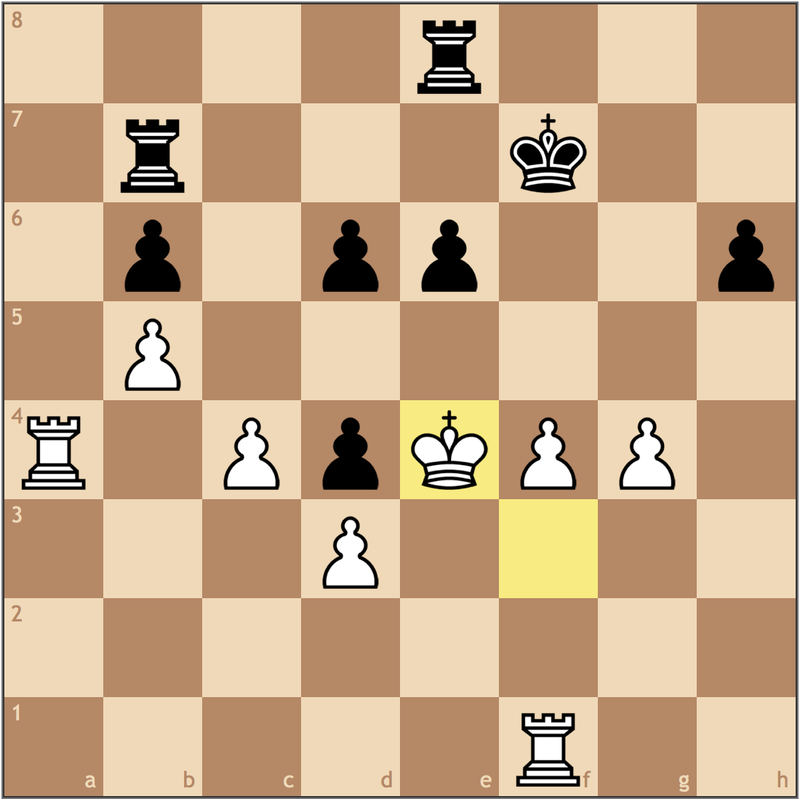 With his last pawn move, White weakened the e3 pawn. 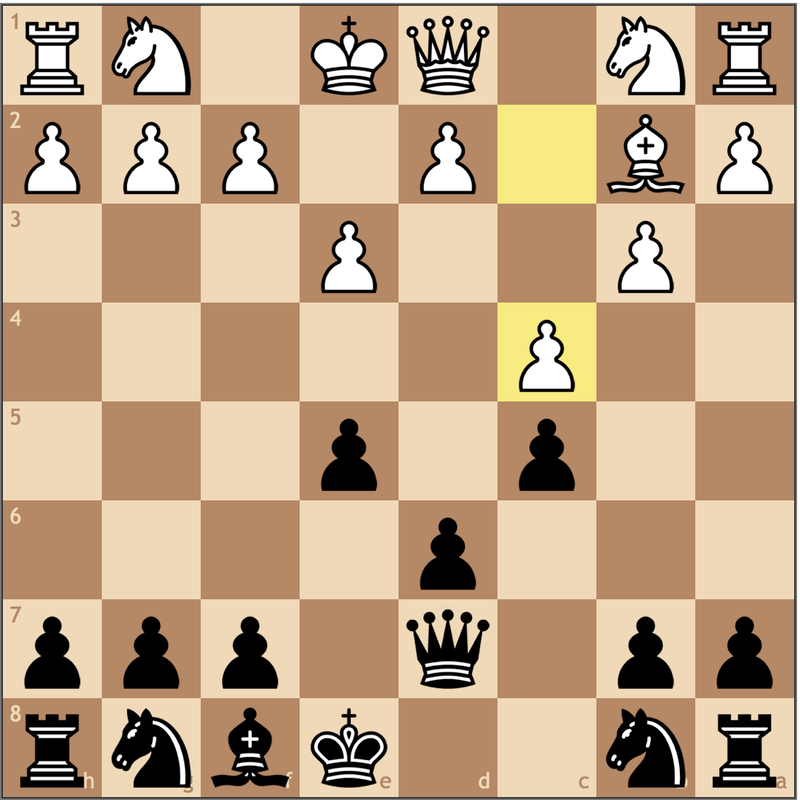 With this move, I get my queen off the potentially busy d-file to avoid discoveries and attack! 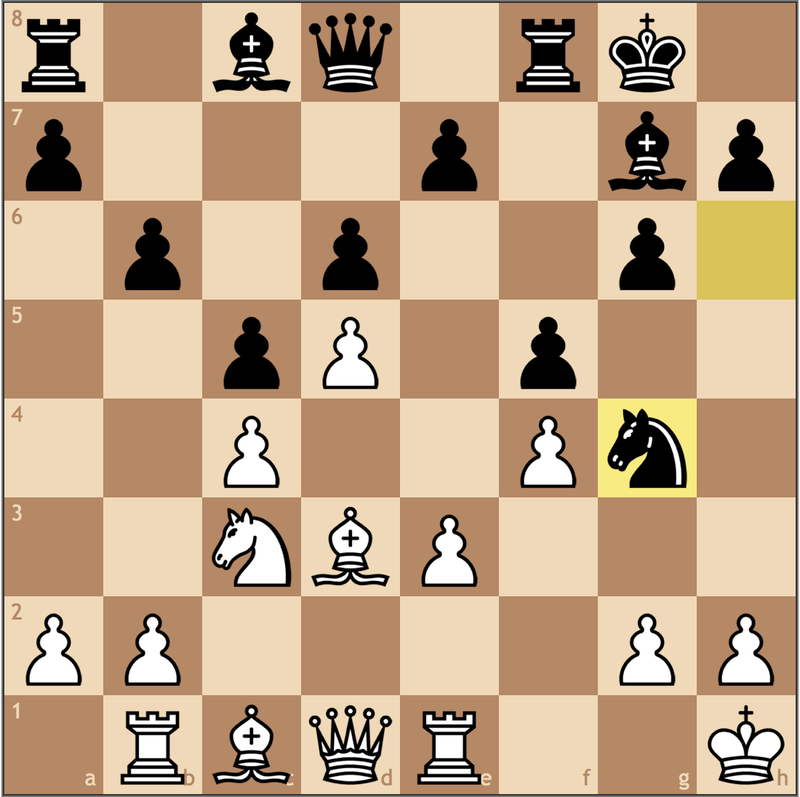 White’s position has seemingly reduced to rubble, but how to break through? Nb1-c3 is coming, and if White can play d4 he might be able to claw his way back into the game. A thematic hedgehog idea as I exploit the c-file, but here I need to be careful to not concede the advantage. Giving up my entire advantage as the game simplifies to a roughly equal endgame. Much better was actually 21. Nxc3 Nxc3 22. b4!! using the pin on the a-file while giving my knight the b5 square to evacuate and reroute to c6. Even though I traded one pair of knights, White’s remaining pieces look awkward as now I can play to create a passed pawn on c3 by using my dark squared bishop. 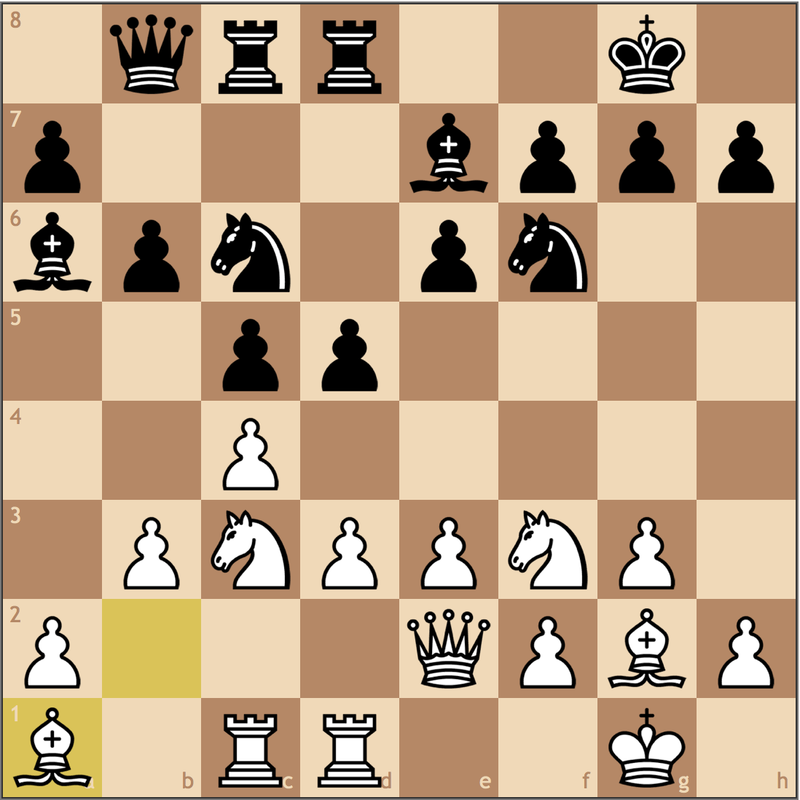 White miraculously lives, thanks to a decision on move 4, to trade off my light-squared bishop. 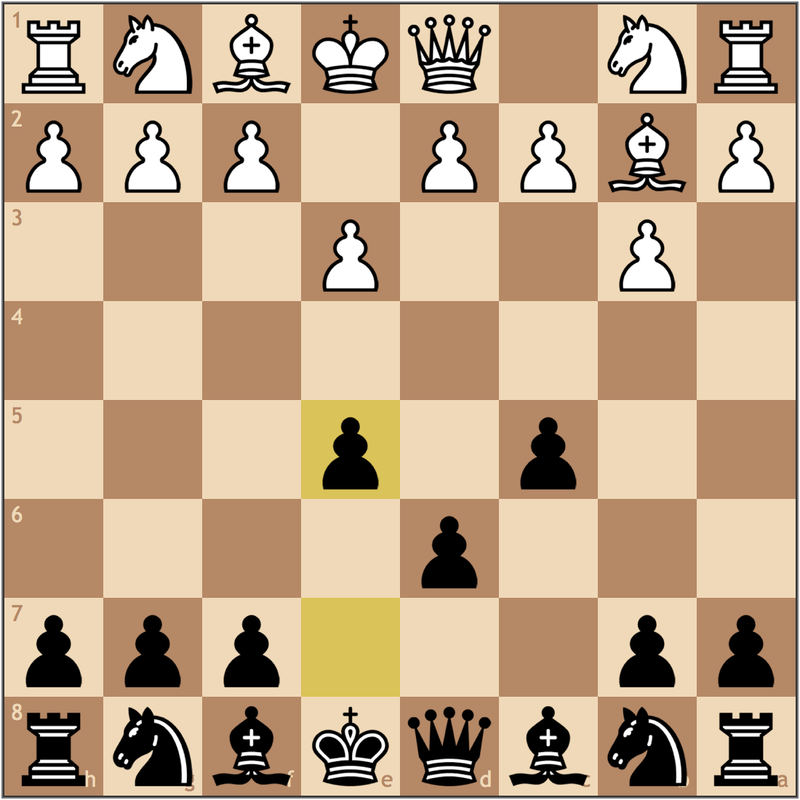 I can never force the knight away from d5 once White plays e3-e4, and it’s enough to hold on to equality. Definitely a disappointing result for such strong middlegame play, but as I learned this weekend, every move counts. In this game, it was just the difference between a win and a draw. Later in Round 5, I wouldn’t get so lucky. Before I show the critical position of my Round 4 win, I must confess I was truly impressed by my opponent’s ability to play at my level throughout the opening and middlegame. At just 1900, my opponent is proof that anyone can prove to be a tough opponent. Unfortunately, in chess there can only be one winner, and my opponent’s valiant efforts were thwarted in the endgame. In my estimation, I am the only side that can win, but Black has to help me get there. In this position, I played 28. g4 with the idea of weakening my opponent’s pawn structure and giving my king a route to e4. A move like 28… e6 may have saved face, but in time trouble my opponent tried 28… fxg4?? Though not immediately losing, conceding control of the e4 square will allow my king access to the light squares in the center. A couple moves later, we reach a winning position for White where I will win a pawn on d4 and soon enough the game. At some point, I will play for f4-f5 to gain access to d5. 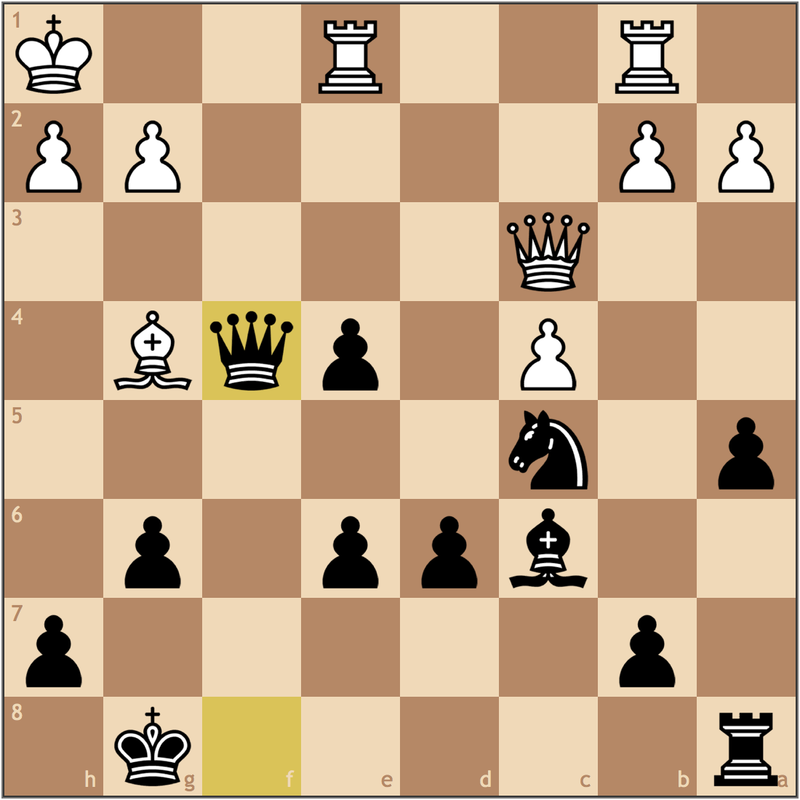 My opponent fought on but resigned on move 45. At this point in the tournament, I was sitting pretty at 2/4 with a goal of either 2.5/6 or 3/6 completely attainable. Of the two remaining games, round 5 offered my best chance at reaching that goal. After trading the e- d- and c- pawns the symmetrical structure suggests a draw, but I’m not out of the hole yet. A simple 19… Be6 would have probably gotten the job done, as the b7 pawn isn’t really hanging since b2 is equally a liability. However, trying to simplify, I got greedy and tried 19… Bd4 20. Bxd4 Qxd4 and offered a draw. I think a few players would be happy with a half point here with White, but my opponent was vigilant with 21. Bd5! The only move offering winning chances. I couldn’t find anything better than 21… Be6 += And White once traded on e6, picked up the pawn on b7 and eventually converted the win. That left Round 6 as my last chance to reach my goal, but I tried a novelty in the opening that went horribly wrong. While my play was less than stellar, my opponent executed a nice tactical shot that I had completely missed. With my plan being to push the b-pawn, I used this opportunity to play 14. Qc2 to protect my c3 knight and prepare b4 push. 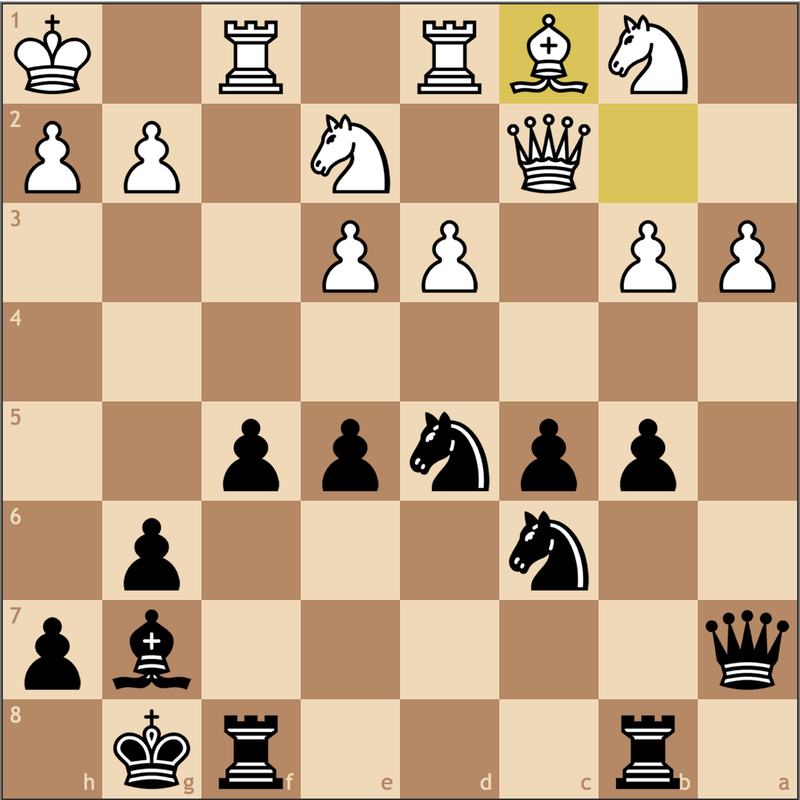 My thought here was that Black’s knight was headed to f6 and then e4, leading to a long-term positional battle, but I couldn’t have been more wrong. 14… e5 15. dxe6 Nxh2! With all my pieces on the queenside, I am absolutely defenseless to this attack. If I play 16. Kxh2? 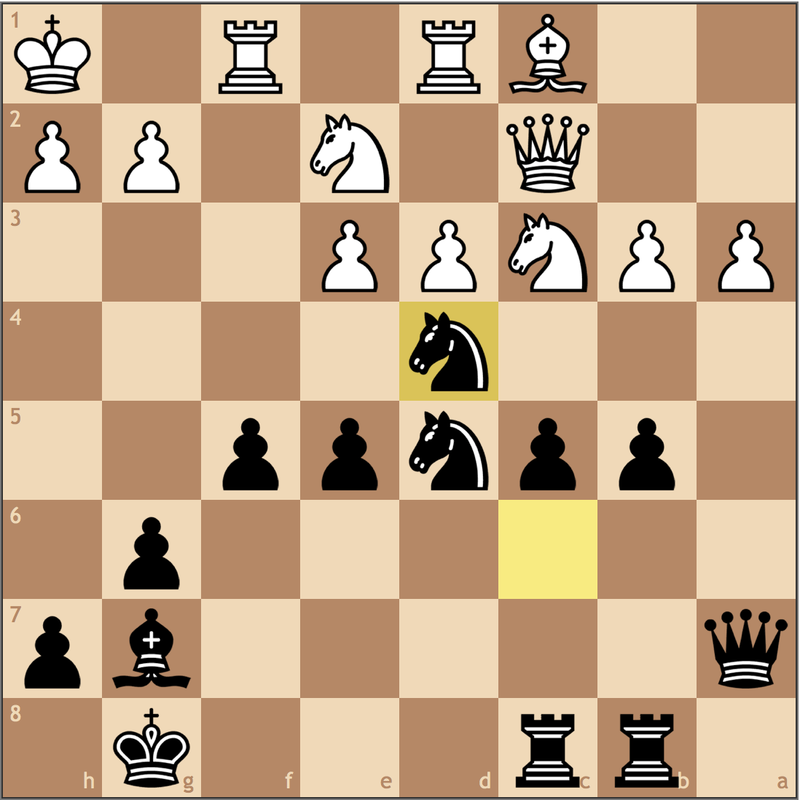 Qh4+ wins immediately as the rook on e1 is left hanging to the fork. At my level, there is absolutely no way I can reasonably hope to get back into this game. In FIDE, it is unacceptable to adjust your opponent’s pieces on their turn. Period. Furthermore, touching the clock during the opponent’s turn is also a violation. FIDE leaves phone punishments to the tournament directors, but under FIDE rules it is completely unacceptable for the phone to leave the tournament hall. If the phone was in my opponent’s suit pocket and on, it fulfills that criteria when he left for the bathroom. I didn’t know about the adjust rule until after the fact, but I chose not to report the phone since I was already completely lost and telling the TD seemed to just postpone a foregone over the board conclusion. In the future, I think the best thing to do is to just be proactive in these situations. Just because my opponent is winning doesn’t make it okay for him to break the rules. While a forfeit win or a time penalty would not have made me happy that round given my play, the rules are there for a reason, and it’s my job as the player to use them. 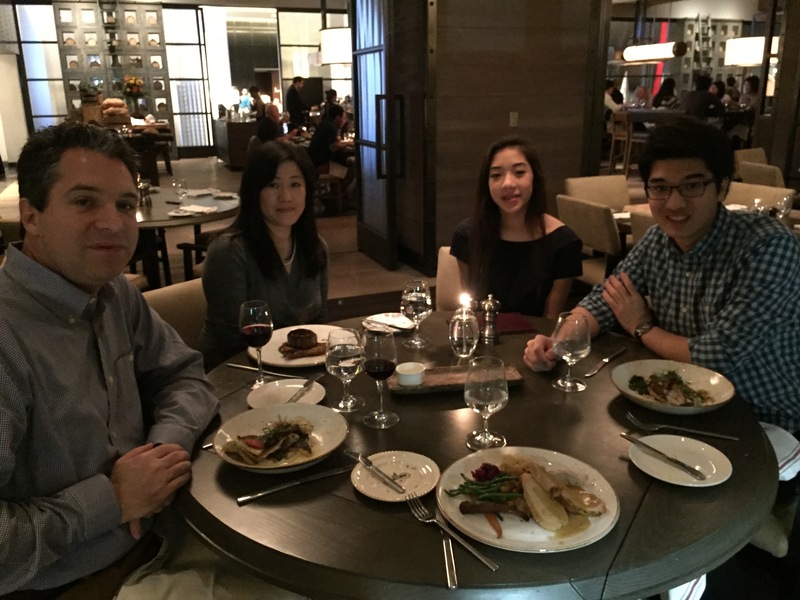 Even though I didn’t perform as I would’ve liked, I still got to spend Thanksgiving with my family in Philadelphia! It’s been a long three months! 2/6 isn’t a bad score considering that this was the toughest competition I’d ever faced, but it does show me that there is room to improve before this summer’s US Junior Open in New Orleans. The support I got going into this event from friends, family, chess^summit fans, and GoFundMe was incredible, and I’m looking forward to what the next few months have in store. Good luck stay focused and get lots of sleep!